Hackers discover Facebook’s vulnerabilities while social networking sites are paying them to do. Very Interesting and informative News toward the Social Networking site i.e. Russia and Brazil are hacking Facebook, and the social networking sites are paying them to do it. Facebook paid out approx. 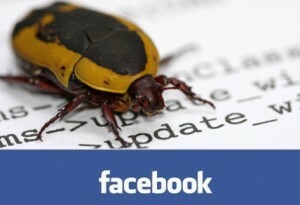 US$1.45 million to security researchers worldwide last year as part of its Bug Bounty programme, and the two emerging markets were responsible for reporting some kinds of the most critical threats and alert, according to a Facebook report which are released by this week. The company rewards did disclosure about vulnerabilities, and then uses the information to fortify the world’s largest social network against hackers. Russians submitted aprrox. 38 bugs that Facebook paid US$3961 for each on average, totaling US$150,518. Brazilians found 53 bugs, worth US$3792 on average. Brazil’s total take was US$200,976. Researchers in India contributed the largest number of bugs, at 136, but earned just US$1353 on average for each of them, amounting to a total of US$184,008. Those in the US earned an average of US$2272 each for 92 bugs, totalling US$209,024. I just want to mention I am just all new to blogging and honestly enjoyed you’re blog site. Almost certainly I’m going to bookmark your blog post . You surely have incredible posts. Thanks a lot for revealing your webpage. I simply want to mention I am just newbie to blogging and site-building and honestly liked your blog site. Most likely I’m going to bookmark your website . You amazingly have really good writings. With thanks for sharing your webpage. I simply want to mention I am beginner to weblog and honestly enjoyed you’re blog. More than likely I’m going to bookmark your blog . You really have outstanding articles. Appreciate it for sharing your webpage. I simply want to tell you that I’m new to blogs and honestly savored you’re web blog. Probably I’m likely to bookmark your website . You definitely come with remarkable well written articles. Thanks for revealing your web site. I just want to say I am just newbie to blogging and seriously savored you’re page. Most likely I’m want to bookmark your blog post . You definitely have excellent stories. Appreciate it for sharing with us your blog site. I just want to say I am all new to weblog and certainly savored you’re web page. More than likely I’m going to bookmark your blog post . You absolutely have incredible articles and reviews. Cheers for sharing your web-site.